On Tuesday morning, the Yemeni Army’s Republican Guard and Houthi Forces reportedly made significant progress at a number of fronts in the Taiz and Lahj provinces after fierce clashes with the Coalition & pro-Hadi forces. According to the Yemeni media Al-Masirah, a military source said that the Yemeni Army, in coordination with the Houthi’s Popular Committees, carried out a massive attack at Jabal Sharaf in the Jabal Habashi district of the Taiz province, where the Saudi-led Coalition forces, alongside with exiled president Abd Rabbuh Mansur Hadi’s National Army and Popular Resistance Committees (PRC), were positioned at. Similarly in Lahj province located in southwest Yemen, Houthi forces entered the Al-Jaribat site in Kirsh which borders to Taiz province. He added that the Houthi forces have achieved significant progress at the southwestern front of the Taiz province after Coalition and pro-Hadi forces suffered significant casualties and an embarrassing defeat among their ranks. Most of the Coalition and Hadi loyalists were killed in Jabal Habashi area; this coincided with the destruction of a number of Coalition vehicles in the same region. The Yemeni army and popular committees made major progress on Tuesday in the southwestern areas of Taiz province, as they managed to break into the Al-Jreibat military sites in the area of Karsh. Local ground sources reported that units of the army and the popular committees stormed the Al-Akama military positions in the Al-Meragh directorate, as well as Dhabi sites in Hayfan district in Taiz province. Waged by the Saudi-led coalition on a starving, besieged and poverty stricken nation & its civilian population. Since the beginning of the Saudi war on Yemen, Sheba Rights Coalition (SRC) has collected credible evidence that Saudi-led coalition used cluster bombs in air strikes on Yemen’s on 56 occasions. In the early morning hours of January 6, 2016 the Saudi-led coalition air-dropped cluster bombs in densely populated residential neighborhoods of Yemen’s capital, Sanaa. The areas that were targeted were: Madbah, Sawad Hanash, Al-Sunaina, Hayel Street, Al-Rabat Street, Al-Ziraa zone, Kuwait Street, Tunis Street, the university zone, and Bir Al-Shaif neighborhood. All the above mentioned areas are densely populated by civilians due to their close proximity to civil facilities such as schools, hospitals and universities. Deaths and Injuries: A child was killed, and ten civilians injured in the attack. Damage to Property and Infrastructure: 33 homes were damaged, 5 cars were burnt with 6 other cars damaged. A girls school was also damaged in the attack. Protect humanitarian workers, including medical personnel. Facilitate the rapid and unimpeded passage of relief supplies, and safeguard the sanctity of hospitals and all medical transport vehicles. The Syrian government has accepted the terms of a ceasefire deal announced by the US and Russia, a Foreign Ministry source said, Sana news agency reported on Feb.23. Nonetheless, Damascus will continue the fight against terrorists such as ISIS, Al Nusra Front and others. According to the report, the Syrian government will coordinate with Russia to decide which groups and areas would be included in the “cessation of hostilities” plan. Damascus announced its commitment of a halt to combat operations on the basis of continuing military efforts against terrorists. On 22 Feb 2016, Russia and the US adopted “Terms for a Cessation of Hostilities in Syria” and proposed that a ceasefire start on Feb.26. According to the statement, the truce will exclude ISIS, al Nusra Front and other terrorist organizations which already conducted concerns among the so-called “moderate opposition” groups. The SAA is continuing military operartions against ISIS along the Salamiyah-Raqqa Highway. Last weekend, the SAA and its allies liberated Al-Massbah, Point 4, Point 5, and a number of other small hilltops near the Zakiyah Crossroad located at the Hama-Raqqa border. Let’s be clear, the Russian bloc wants a quick victory in Syria when the west with their regional partners like Saudi-Turkey wants to prolong the war in order to implement their global and regional blueprint of triple containment policy. Many western pundits admit that the US already has a double containment policy to contain China and Russia from militarily, culturally and economically. Interestingly, their double containment policy is unfolding as the triple containment policy by disintegrating a powerful regional bloc, European Union. It is pretty assumable that the western political elites knew very well from the beginning that Russia and China containment policy also has enormous potentiality of containing the EU as well. In other words, a disintegrated European union also can put certain security and economic threat for Russia and China. Soviet Union was disintegrated before EU formation, and after the formation of EU, the post-soviet Russia has become stronger in practicing capitalism. If the EU existed before the fall of Soviet Union, soviet would never be disintegrated. It is true that EU appears a shield and a field of opportunity for post-soviet Russian security and economy, though US has significant influence in EU. On the other hand, Russia, China and Europe have their own geopolitical interest as well as conflicts of interest in Asia and Europe. There have been several tensions over the influence over Eastern Europe between EU and Russia though most of the tensions are US generated. China wants to build the Silk Route to connect Europe and Asia, which creates sufficient burden on the western policy regarding the Middle East. Although Russia and China appear as the alternative bloc, there had been a seven-month border war between two countries in 1969. The US, as an exceptionalist global superpower can easily play with all three parties with ultra-imperialist global monetary and military systems where US diplomacy with an enormous media establishment, legitimates all of their actions. The Readers must remember that it was European civilization that injected a series of bloodthirsty and everlasting divisions in Middle East by imperialistic ambitions of looting a lesser advance civilization. As an advanced civilization the Europeans used all their updated tools of exploitation from diplomacy, economy to military oppression in the Middle East. During WW1, with the so-called Sykes Picot agreement, the Middle East fell into a fathomless trap of western civilization. Since then the colonial Middle East entered into arena of neo-colonial Middle East. After WW2, A large part of the Middle East (e.g. Saudi, Qatar, and Turkey) had been starting to emerge as an ultra-colonial zone of the US-led west. And a small part (e.g. Syria, Libya, and Iraq) of it had been maintaining a neo-colonial relationship with the Soviet Union. After the Soviet fall in early nineties, the Ultra-colonial zone of the Middle East rushed to reclaim the regional political influence with the massive military help by the US led west. As a result the US invaded Iraq and gave a clear message to the region that it was the only operational global superpower. The soviet fall made the west appeared more aggressive in implementing its Middle East policy. But after 2003 war on Iraq, when their Iraq program was very silently hacked by two regional powers, Shiite Iran and Sunni Saudi Arabia, the west felt frustrated and started its Arab spring policy to destroy their previous program by creating sufficient chaos in Iraq and Syria. On the other hand, Russia considers that it has a major stake in Middle East, since Soviet had some neo-colonial states in the Middle East. Fueled with Ukraine crisis at its border, Russia started military action in Syria to redefine their image as a global superpower and to earn respect from the west. 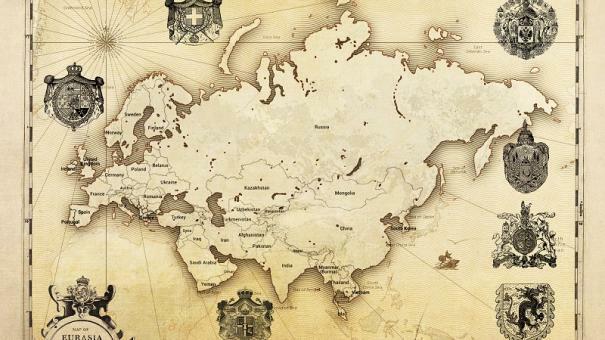 The west fears this superpower image of Russia. That Russian image has historical efficiency to halt the unbound western geopolitical advances. To avoid that image the West rushed into the war in the Middle East in 90s and in this new millennium, but they could not accomplish their job done due to the latest global structural crisis that had been taking place since 2008. There are arguments that the Chinese economic growth is one of the main elements that created such global deep recession. Interestingly, when the exceptionalist superpower had been continuously failing to solve the structural crisis, it created an emptiness of confidence in dealing such a catastrophic issue. A lack of confidence to solve a structural crisis also created alternative voices like Russia and China that propose the solution of a new multi-polar world order by deducting the west and its power of influences. To counter the triple containment policy, China had been keeping a substantial pressure and control on the western bloc and on the other hand Russia is now showing their new edge military technologies in the war against the proxy forces of west backed terrorists in Syria. Russia also envisioned couple of international and regional bloc to counter western approach. 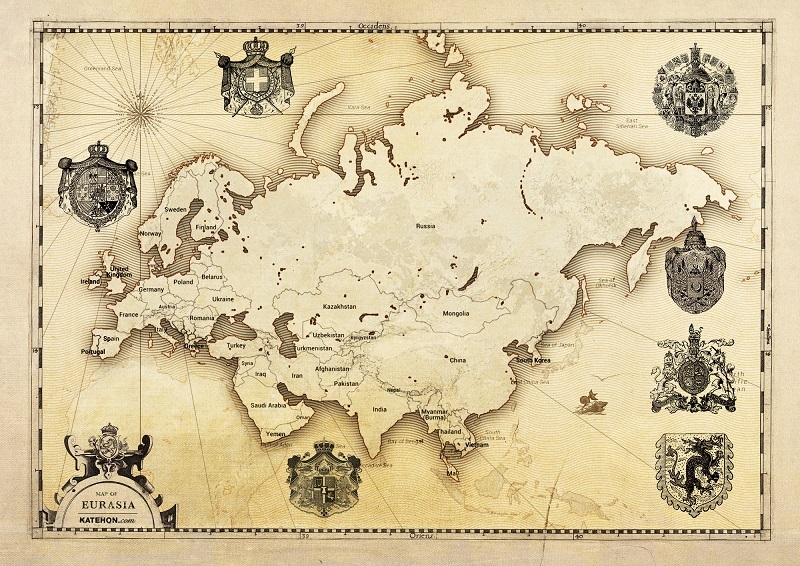 Eurasian union is one of them centering Moscow. The Eurasian Union program also has aimed to connect with the Chinese Silk Route or the One Belt One Road Project. It is well known by the all parties that the Chinese envision OBOR project or the Russian envisioned Eurasian Union project both could be defused if wars of the Middle East gradually enters into the Europe. The west doesn’t want China to sit on the sideline of the Middle East chessboard. It wants China to participate in this conflict. If Russian bloc wins in Syrian war, it will completely change the game of Middle East. The win will cut off substantial influence of the regional actors like Saudi Arabia and Turkey, and eventually those countries will be disintegrated by sectarian divisions. So, ultimately Chinese-Russian conflict of interest in the Middle East can sufficiently put a bar in Russian influence in the Middle East. If the present regional actors fail to trap Russia into a quagmire of a prolonged war-which will eventually bring economic and security catastrophe in Russia, the west will try to force China to engage into claiming stakes of Middle East. To confront such possible situation of friends turned foe, Russia and China should pump up their diplomatic activities for strong mutual understanding and future commitments regarding Middle East stakes. It is a historical fact that war creates refugees. The world knows it well. During the WW2 many Europeans fled from their home to neighboring countries and even to the neighboring continents although they had very poor communication system. But those comparatively poor communication systems could not stop Europeans to flee from their home to far continents. However, in present days, the west led by US, took the chance to engineer the reversal of that refugee issue so that people of a chaotic Middle East could flee to Europe and put sufficient weight on European social fabric. With such influx, Europe will fall into pieces. To overcome the present global structural crisis and to contain Europe, China and Russia, the US took the option of dismantling Europe since it is much vulnerable to be disintegrated than Russia or China. There is another interesting fact that the Refugee crisis is a crisis for the Europe, but not really a crisis for Turkey. The European refugee crisis came to Turkey as a blessing from the US to operate and regulate on Turkish necessity. Now, EU is completely dependent on Turkey for its security regarding the influx of refugees. The ever-unfolding chaos of Middle East paves the ways for the retreating western hegemony to control events remotely behind the curtain. The west is in an advance position to a macro level since it has a strong geopolitical setup than the others. But in micro level they are losing ground rapidly in world’s geopolitical atmosphere. It is also high time for European Union to recognize their real friends and foes. A friend will never push you towards existential crisis. On the other hand, the Europe should consider Russia as good neighbor. It is a demand of time for Europeans, Russians and Chinese to solve the present crisis, which is taking places throughout the war belt. It will be wiser if those parties can dissolve the mistrusts against each other and fight a common enemy to deliver peace to its own people. Otherwise, the war belt will be expanded day after day to destroy several organic civilizations. As the US and Russia keep announcing ultimately fruitless ceasefire efforts, the UN’s latest report is faulting both of them, along with other major powers involved in Syria, for continuing to fuel military escalation of the conflict through their actions on the ground. The report detailed war crimes committed by numerous factions in the war, little to no accountability, and a seemingly interminable effort to make matters worse on the ground by seemingly everyone, in the hopes they could parlay to some benefit for their faction. Russia’s escalation is a straightforward one, backing the expansion of Syrian military offensives in the days leading up to ceasefires they supposedly desperately want. At the same time, the US is arming so many groups these days that half the time they’re on both sides of major battles. That’s been the historic problem with these speculative future ceasefires, as everybody seemingly scrambles to get the best position possible before the pause begins, and their international allies are just egging them on, meaning by the time the ceasefire date hits the fighting is even more out of control. The UN report also notes that the Syrian military is increasingly short on fighters, and forced to rely on Shi’ite militias to do what normally would’ve been the work of the military. They warned this is leaving the Syrian government in a precarious position. This would seemingly make the ceasefire all the more important for them, but recent gains on the ground, backed by Russian airstrikes, have some of the Syrian leadership believing that they’re getting into a better negotiating position as they delay. At the same time, the rebels believe the offensive has put them in too weak of a position to negotiate, and are whining about the US “abandoning” them by expressing any support for a pause, even though the US continues to throw arms at them to keep fighting. The US and Russia confirmed earlier today that they have agreed to a ceasefire in the Syrian Civil War, tentatively to begin on Saturday. The Syrian rebels are already spurning the idea, insisting the deal can’t possibly work as currently constructed. As expected, the deal excludes both ISIS and al-Qaeda’s Jabhat al-Nusra, and the rebels see the exclusion of Nusra as a big problem, on the grounds that they’re “mixed” in with all the other rebels in a lot of territories, and it’s not really possible even for the rebels to tell what territory is rebel-held and what territory is Nusra-held. Which means that continued attacks on al-Qaeda will also mean continued attacks on a good chunk of the rebellion, something they’re presenting as a “pretext” Syrian forces will use to attack their territory, though even as they presented it, would rightly be targeting al-Qaeda under the terms of the ceasefire. A lot of rebel factions have objected repeatedly to the inclusion of al-Qaeda in the “bad rebels” category, precisely because they’ve been working hand in hand with them throughout the civil war, and see the weakening of al-Qaeda as a loss to their side. “The truce will not cover the Islamic State, the al-Qaeda-linked Nusra Front and any other militias designated as terrorist organizations by the U.N. Security Council. Both the U.S. and Russia are still targeting those groups with airstrikes. The State Department made the five-page plan public after Presidents Barack Obama and Vladimir Putin spoke by telephone Monday. Even if the cease-fire takes hold, fighting will by no means cease in Syria. Someone explain to me what the point of this “cease fire” will be. Are Lavrov and Kerry just playing kissy face for the world audience? Is this an example of the diplomats’ delusion that little steps lead to big steps and then to “The Peaceable Kingdom?” Yes, yes, I know all about negotiating techniques. I was a diplomat for quite a long time. IS, Nusra and “other groups designated by the UN” will not be included in the “cease fire.” Does that mean that the US led coalition and R+6 will be free to continue to wage war against them? In NW and SW Syria the non-IS rebels and the “secular” FSA unicorn groups are very mixed together. The US probably likes that. These favored rebels might be able to gain a respite from the defeats they have been suffering and the disaster they are facing at the hands of R+6. 3. the Syrian Army will still continue fight Al-Nusra and Islamic State, as well as radical Islamist Ahrar al-Sham and Jaysh al-Islam. This looks like Putin’s way of giving the secular FSA, who are currently intermingled with the Islamists, a chance to separate themselves from Nusra, Ahrar and Jaysh. If they do not then he can say, see, the FSA are not moderates. If they do then he and Assad can go after the Islamists (and their allies) with impunity without all of the Caterwauling over the poor moderates. The only down side that I can see is if Al Nusra, Ahrar al-Sham and Jaysh al-Islam try to hold territory under the cease fire claiming to be FSA. However, being that the timeframe is now less than a week it does not give them much time for this deception. The secular FSA has to identify themselves to that ISSG group. Yeah, it’s a long shot. In a world where we had a competent press it would demonstrate Russia’s consistently good efforts in Syria but we have a grossly incompetent press who will ignore all of this and continue to talk about war crimes. 4D. Syria: Does This “Cessation Of Hostilities” Allow Attacks On Jaish al-Fatah? Consistent with UN Security Council Resolution 2254 and the statements of the ISSG, the cessation of hostilities does not apply to “Daesh”, “Jabhat al-Nusra”, or other terrorist organizations designated by the UN Security Council. The Army of Conquest or Jaish al-Fatah, abbreviated JaF, is a joint operations room of Islamist Syrian rebel factions participating in the Syrian Civil War. … At its founding, Jaish al-Fatah contained seven members, three of them — al-Nusra, Ahrar ash-Sham, and Jund al-Aqsa are directly connected to Al-Qaeda or have a similar ideology. With Ahrar ash-Sham being the largest group, al-Nusra and Ahrar ash-Sham together were reported to represent 90 percent of the troops. Another prominent Islamist faction in the operations room included the Muslim Brotherhood of Syria linked Sham Legion (Faylaq Al-Sham). Jaish al-Fatah collaborated with more moderate Free Syrian Army factions such as Knights of Justice Brigade. Leaving out the “associated” in the cessation of hostilities declaration gives room for Ahrar al-Sham and a few others, which are clearly “associated” with al-Nusra/al-Qaeda in their Jaish al-Fatah alliance, to take part in it. The nationwide cessation of hostilities is to apply to any party currently engaged in military or paramilitary hostilities against any other parties other than “Daesh”, “Jabhat al-Nusra”, or other terrorist organizations designated by the UN Security Council. The same condition plus a cessation of aerial bombing apply to the Syrian government side. It is “proposed”(?) that the cessation of hostilities commence at 00:00 (Damascus time) on February 27, 2016. The immediate estimates of various observers of the war on Syria on how long a cessation of hostilities under these conditions would hold varied between 30 seconds and 4 weeks. The big problem is of course that al-Qaeda is so intermingled with the “moderate rebels” that the U.S. even tried, contrary to UNSC Res 2254, to get the cessation of hostilities applied to it. Let us assume that Ahrar al-Sham agrees to the cessation of hostilities and follows its terms. The Syrian and Russian intelligence suddenly get good information about the location of the joint operations room of al-Nusra, Ahrar ash-Sham and Jund al-Aqsa. Now would that joint operations room or headquarter be a legitimate bombing target under the cessation of hostilities agreement? In my view bombing it would obviously be allowed because al-Nusra/al-Qaeda is there. But the “moderate” terrorists, the U.S. and their other sponsors would scream bloody murder about such bombing. That is why I believe that this cessation of hostilities, should it come in force at all, will hold no longer than one week. Parliamentary elections in Syria will be held on April 13, 2016, said a statement issued by Syrian President Bashar Assad. Syria holds a general election every four years, with the previous vote taking place in 2012. The announcement comes hours after Russia and the US issued a joint statement on cessation of hostilities in this country, announcing February 27 as the starting date for the ceasefire. Russian President Vladimir Putin stressed that the truce will not include terror groups, such as Islamic State (IS, formerly ISIS/ISIL) or Jabhat al-Nusra. Putin called on Assad’s government and the opposition to support the action plan agreed by Moscow and Washington. The Syrian parliament or People’s Council has 250 members elected for a four year term in 15 multi-seat constituencies. The majority in the parliament is currently held by the government coalition, with opposition Popular Front for Change and Liberation and independent MPs jointly having 82 seats. “We have corruption in the government. But that is like any government. But, we want you to convey that conspiracy, terrorism, interference from Western countries has united supporters of the government and the opposition, to support President Bashar al Assad, who stood against various countries’ attempt at war against Syria, the aim of which was to make Syria without a President. 5B. 13 January 2016 – OCC News correspondent in the eastern Ghouta Rural Damascus reports that Arbin city has elected for the first time by popular vote the civilian opposition to run the local council in the city of Arbin, which is one of the most important local councils in eastern Ghouta. All armed opposition representatives were soundly defeated! Here, a little historical excursion is needed. When the modern Turkish state was created on the ashes of the Ottoman empire following defeat in WWI, it was seeking a new identity on which it could successfully establish itself. The new young Turkish elite chose the model of nationalism, at that time a progressive concept so popular in contemporary Europe. Turkey, just like some of its European counterparts, was however faced with the imperial heritage of diverse ethnic groups living on its newly established territory. There were large and ancient communities of Greeks, Armenians, Kurds and many other people living in Anatolia and the European part of Turkey. Ethnic Turks themselves were relative newcomers to these parts of the world, having arrived only in the 11th century. Greeks and other ethnic groups, on the other hand, can trace their presence in what is now Turkey well into the Bronze Age and beyond (3300-1200 BC). The Turks managed to solve the Greek question after the Graeco-Turkish war of 1919-1922 and the large exchange of population which followed it. Most Greeks left Turkey and Turkey received an influx of ethnic Turks from Greece in return. The Armenian question got solved already during WWI in what many call the Armenian genocide. Term which Turkey fiercely opposes. It was a forceful deportation of Armenians into the Syrian desert. It is estimated that about 1.5 million of them died. Turkey acknowledges the fact of the deportation, but claims that loss of life was an unintended consequence rather than a deliberate act. One ethnic question which Turkey however did not manage to solve is the Kurdish question. The Kurds are an ancient community of Iranian people who accepted Islam. They were skilled soldiers and played an important role in Islamic armies, including the Seljuk and the Ottoman. Indeed, the most famous historical Kurdish figure is Saladin (name under which he is known in the West), a Muslim general who reconquered Jerusalem during the Crusades and a sultan of Egypt and Syria. The Turks tried to solve the Kurdish issue by straightforward assimilation. They announced that from now on, Kurds are simply „Eastern Turks“ and banned the Kurdish language. The Kurds resisted and the Turks answered with repression, forced relocation, discrimination and heavy handed military crackdown. Kurds in Turkey are since then in de facto constant rebellion and a, sometimes less sometimes more intense, war with the Turkish government, which claimed thousands of lives on both sides. Despite having an advantage in numbers and equipment, Turkey seems to be slowly losing this war. It is estimated that Kurds make up to about 20% of the Turkish population and Kurdish families have about double the birthrate of Turkish ones. In a few decades, this will eventually lead to a situation when there will be more Kurdish than Turkish men of military age in Turkey. To make matters worse for Turkey, Kurds do not live only in Turkey. Thanks to the post colonial legacy and arbitrariness of borders, which France and Britain drew in the sands, plains and hills of the Middle East, similarly sized Kurdish communities live in the neighboring countries of Syria, Iraq and Iran. Together they inhabit one large, almost continuous area called Kurdistan. Fortunately for the Turks, the Kurds in these countries until recently faced similar persecution as in Turkey. All these countries perceive their Kurds as a threat to their territorial integrity. The most well know episode of this repression came when Saddam Hussein used poison gas on Kurds in Northern Iraq. That was by no means an exclusive example, but one which at the time suited Western interests in the Middle East and thus received widespread publicity in Western media. After decades of silent complicity. Which brings us back to the cause of the recent change in Turkish policies and the rising tension on Turkish-Syrian border. When the USA decided to invade Iraq in 2003, Turkey correctly concluded that the operation is pure hazard with an unpredictable outcome. In a hope of minimizing the negative impact on Turkey itself, they decided to keep strict neutrality and to not intervene, and went so far as to refuse to allow their US and British NATO allies to use Turkish territory and bases for an attack. The US attack on Iraq and the occupation led to an all out civil war inside the country and eventually broke Iraq into de facto Shia, Sunni and Kurdish parts. All of a sudden Turkey was faced not just with Kurdish insurgency inside Turkey, but, for the first time. also with (de facto) an independent Kurdish state right on its borders which could provide a safe haven (regroup and supply) area for Kurds from inside Turkey. That was a disaster. The Turks tried to deal with the situation with limited military incursions into Iraqi Kurdistan, attempts to buy Kurdish leaders and reliance on the ability of their US partners to keep the Kurds in check and prevent damage. Something the Americans turned out not to be very capable at. Perhaps even not willing. The lesson Erdogan and the Turkish leadership sees to have learned from the events in Iraq was likely that abstaining from conflicts in the region will not shield Turkey from negative consequences and, if Turkey can not prevent these conflicts, it’s better that Turkey participates in them and thus is at last able to protect its interests by influencing the outcome. When the USA and their NATO allies decided to change regimes in Northern Africa and engaged in yet another imperial adventure in Libya, following initial reluctance, Turkey agreed to join. And when the USA then decided to start a war in Syria, Turkey jumped on the wagon, probably on the promise of a quick victory and the instalment of a new government of the Muslim Brotherhood, friendly to Turkey and its ruling party. Ankara might have even expected such a government to be a Turkish client. That certainly was the expectation of Riyadh, another unfortunate victim of US Middle Eastern policies. As is the rule with similar US foreign policies, they seldom work as advertised. When Assad proved to be resilient, Ankara and Riyadh were expecting Washington to do what it did in Libya and intervene under the pretext of a no fly zone and an alleged protection of civilians, a pretext well tested already in Yugoslavia. No man however steps into the same river twice, wisdom already ancient Greeks understood. After the disaster in Libya, opposition to intervention, led prominently by Russia and China, proved to be stronger, and support inside the USA and their British and French allies weaker than might have been anticipated. A no fly zone did not materialize. Of note is, that Turks and Saudis were its most outspoken proponents and they insist on establishing a no fly zone in Syria (euphemism for a US led intervention) till today. Meanwhile, Obama’s administration walked away, quietly thankful to the Russians for the face saving pretext in form of the chemical weapons deal. Regime change in Syria thus had to be accomplished solely through proxies in the form of a colorful collection of various more or less disgusting Sunni Islamic groups, both local and foreign. Turkey and Saudi Arabia engaged in an enthusiastic support of these groups; openly supporting those under the moderate name, and less openly others, while publicly pretending to fight them as radicals and terrorists. In reality. the only group Turkey ever really fought in Syria were Kurds. Which is ironically probably the only significant opposition group in Syria which really deserves name moderate. Despite the catastrophic heterogeneity of these opposition groups, which are willing to fight each other as much as they are willing to fight Syrian government, it seemed that the government will be eventually worn down in a war of attrition. But then came the unexpected Russian intervention and, against all assurances from Washington about the Russians having another Afghanistan, it managed to turn the tables and forced the rebels to what is increasingly looking like an all-out retreat. This is a disaster of epic proportions for Turkey. 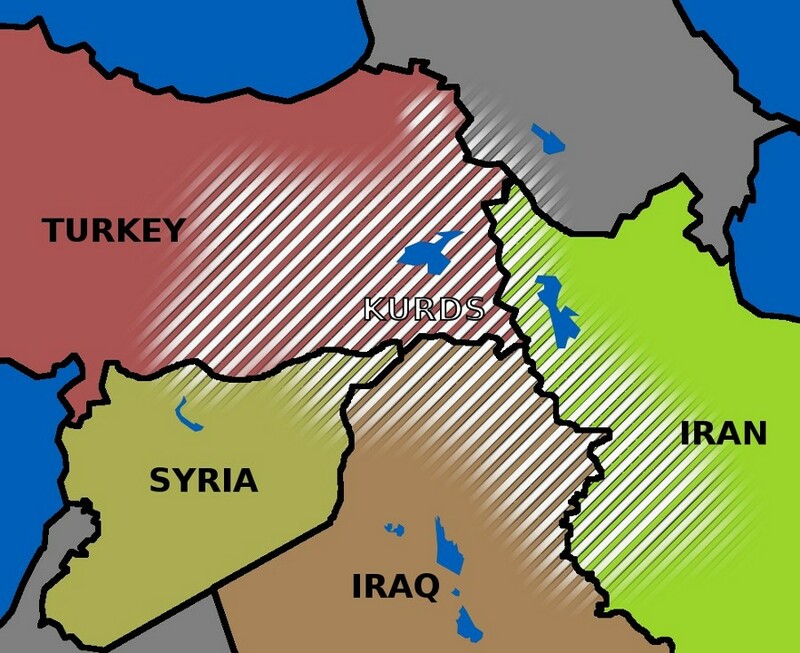 Instead of a friendly regime of the Muslim Brotherhood type in Damascus, which Ankara would be able to control, they are faced with the creation of a second Kurdish independent state on their borders. That’s what has sent the Turkish leadership into panic mode and that’s why the Turks are seemingly irrationally rising tensions on the border with Syria. In my opinion, the downing of the Russian plane, the shelling of Kurds and the concentration of military forces on the border, accompanied with aggressive rhetoric, are not so much meant to threaten Russia or Assad, they are first of all desperate attempts to force Washington to lead an invasion in Syria at last. Which is probably something Washington itself made Ankara and Riyadh expect in the first place. Now Washington is being seen dragging their feet and backing out. Neither Turkey, nor Saudi Arabia are likely to invade alone. To conclude, the US policies of destabilizing countries and whole regions to suit their geopolitical and economic interests in the last decade or two proved to be often as damaging to US allies as they are to US opponents. If not more. Another case in point of course is the European migration crisis. What effect is that going to have on relations between the USA and their allies on one side, and US opponents on the other, remains to be seen. But it is reasonable to expect that dissatisfaction with US leadership will be on the rise. Dozens of people have been killed and injured in a double bombing attack in Homs, Syria. Talal Barazi, the governor of Homs, said at least 34 people had been killed, but other sources say the death toll was even higher. The explosions at a traffic light at al-Siteen Street in the al-Zahra neighborhood happened within minutes of each other, witnesses said. One of them may have been triggered by a suicide bomber. RIA Novosti cites a medical official who estimated a higher casualty number, saying the attack has claimed at least 46 lives and injured as many as 110. Witnesses said at least one of the two blasts was triggered by a suicide bomber driving a car. A follow-up bombing after an initial blast is a common terrorist tactic, which allows them to hit first responders, who rush to help victims. In the letters, the ministry called the terrorist organizations acting in Syria tools of the Saudi and Turkish regimes adding that the Sunday attacks were Turkey and Saudi Arabia’s attempt to impede the diplomatic efforts aimed at finding a political solution to the Syrian crisis. Bombings targeting civilians happen regularly in Syria, which has been riven by a five-year armed conflict. Islamic State claimed responsibility for a bombing in Homs last month, which killed at least 24 people. Another attack in December claimed 32 lives. “The US supported moderate rebels in Aleppo launched a Gas Can rocket, which they make out of a cooking gas container. They targeted a residential neighborhood, and killed 23 civilians. 11 members of one family were killed. The entire family, gone. These are the rebels that John Kerry and Pres. Obama, and Ashton Carter are continually talking about. These are the same rebels who are nicknamed “John McCain’s Army” since he has visited them and fought for their support in the US Congress for over 4 years. These are the same rebels who are aligned with Al Qaeda and Jibhat Al Nusra. Why would the US government, and US taxpayers, be supporting Radical Islamic terrorists, who are known Jihadists, who have attacked innocent unarmed civilians? They have raped, kidnapped, tortured, beheaded and murdered my own neighbors. They destroyed my summer home in Kassab, while beheading 13, and killing 88 Christians there on March 21, 2014. They massacred 220 unarmed civilians in their homes in Ballouta in mid August 2013, near Latakia. May God bless all peace makers, and may God punish and destroy all murderers, whether they are on the US gov’t payroll, or not. America is going toward a day of reckoning for their collective murdering behind a disguise of regime change. “…Syria demanded a strong and immediate condemnation of Homs twin terrorist attacks from the Security Council and the UN Secretary General. The demand was conveyed in two letters addressed by the Foreign and Expatriates Ministry to the Secretary General and the Security Council’s Chairman. …It has become clear to all that the terrorist organizations committing these acts are the real tools of the Saudi and Turkish regimes on the Syrian ground, the Ministry noted. The attacks today, it said, are a Turkish-Saudi response after the two sides’ role in inflaming the crisis in Syria was laid bare. They are also a new attempt by the Turkish and Saudi regimes specifically to impede the diplomatic efforts seeking a political solution to the crisis, the Ministry added. …The letters demanded that the Security Council assume responsibility for preserving international peace and security and take “immediate punitive and deterrent actions” against the countries providing support and funds to the terrorists, namely Saudi Arabia, Turkey and Qatar. She is 39 years old. Even before the coup in Libya, she was the predicted successor to Gaddafi, despite the fact that she is a woman, moreover, far from Muslim moderation. Her father’s favorite from childhood, she was inspired by his ideas and was brought up in the dynastic traditions of the new era of the Libyan Arab socialist Jamahiriya, which should release, if not the whole world, Africa definitely. Before the coup, the light handed journalists gave her the nickname “African Claudia Schiffer”, with long bleached hair, slender figure and unique style: skinny jeans, stilettos from Gucci and Muslim headscarf-attire. However, in 2011, her image dramatically changed from a European top model to wearing a hijab. She overtly expressed a protest against Western intervention in the affairs of her country, becoming closer to the people. The status of Gaddafi’s daughter, Aisha, was obliged to be a continuation of his policies, even in their personal lives. The only daughter of Muammar Gaddafi married her own cousin, Colonel Ahmed al-Gaddafi al-Kashi, preserving the purity of the tribal blood in the male line. Pedigree mythology – the migration of the tribe of al-Gaddafi from Iraq during the time of Muhammad led to the participation of Aisha, a lawyer in the defence team of Saddam Hussein. At the UN, she defended the ideals of the African Gaddafi as a goodwill Ambassador to combat hunger and AIDS in Africa. That is why Muammar al-Gaddafi did not allow her to stay in Libya after the capital Tripoli was captured by rebels in August 2011. Five days after the occupation of the residence of Gaddafi his wife Safia and heavily pregnant daughter were sent to Algeria, accompanied by two sons Muhammad and Hannibal. And he was right: after three days Aisha gave birth to a girl. The death of Gaddafi on October 21st, took her power in life, however, after hospitalization she began her war. Twice, despite the ban on the Algerian authorities, she called, in a video message, for Libyans to avenge the killing of Muammar Gaddafi, and a year later, in October 2012, she was forced to go to Oman. By that time she was already deprived of her status at the UN and the threat of Interpol regarding political activities still lingered. Aisha Gaddafi believes that “Gaddafi is not in Libya, he is in the hearts of Libyans”. So, just like Saddam Hussein, the neo-colonial barbarity of the NATO backed “revolution” was a simple consequence of Gaddafi’s decision to attempt to replace the fiat currency of the US dollar with a gold backed currency that would have made Africa a “golden opportunity” for investors outside the US dominated central banking system. And what happened to Libya’s 145 tons of gold? For a country which rejected the gold standard decades ago, why does the US still want to get its hands on all the gold it can?